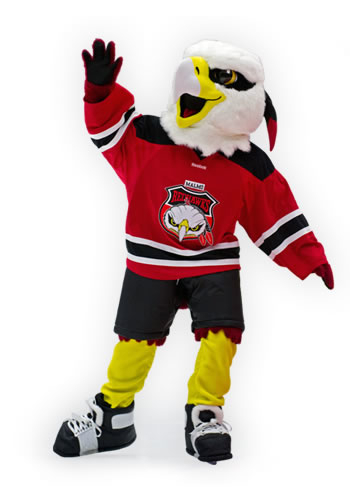 Contact Us Today and Discover How a Mascot can Improve Your Brand! We take the time to develop the perfect mascot to represent your organization’s personality and persona. From concept to completion, we make sure everything is absolutely perfect, so your mascots first day on the job is a memorable one. There are only a couple types of characters that will work well for any given organization. For this reason it is probably best to consult your mascot supplier for proper guidance. In our experience, there are basically four categories of mascot to look for, and each has its pros and cons. The huggability factor is directly proportional to the amount of fur. In accordance with the law, we’d recommend you go with a mammal or a bird instead of a reptile, fish or insect. After all, kids and adults would probably rather hug a dog than a lizard. Now if your team name does not readily lend itself to a mascot concept, you may want to consider an animal that is native to your geographic area. If you try hard enough, you should be able to make any animal costume concept work, despite your team name. Again, if your supplier is on the ball, they can make any animal work for you. Fantasy Characters – The second most successful types of mascots are what we call “Fantasy Characters.” These creatures are the type that are really non-descript. They don’t exist in nature and no one is really sure what they are. Two of the best known examples of fantasy characters are the “Philly Phanatic” of the Philadelphia Phillies and “Mr. Snuffalupagus” from Sesame Street. The type of fantasy character you choose is limited only by your imagination. And if you apply the Street Characters’ Law of Huggability, whatever you choose will have a lot of fur. Fantasy characters are best used for team names like the “Storm” or “Wave” or “Phillies” which don’t lend themselves well to an animal costume character. The drawback to having a fantasy character is that because the creature is not readily recognizable, your fans or audience will likely often ask “What the heck is that?” Because of this, it may take a little bit more work on your part to make the fantasy character identifiable with your organization. Human Characters – We try to discourage the use of humans as a basis for a mascot concept because of the many downsides associated with them. For example, children tend to be more frightened of human characters because they often identify them as “strangers.” Plus you always run the risk of alienating a fan who may not have the same color, ethnicity, religious symbolism or gender that the mascot is representing. Human characters can work if all of these factors are addressed properly. We recommend making the concept as friendly and as cartoonish as possible so that it limits the potential for alienation. Inanimate Objects – As we mentioned earlier, Street Characters has created mascots based on inanimate objects like lumps of coal and rolled up newspapers. However, it is sometimes difficult to make these characters as lively and appealing as an animal costume or a fantasy character. And if you apply Street Characters’ Law of Huggability, there are very few inanimate objects that have a lot of fur. Also, in order to capture the look and feel of the “real” inanimate object, the costumes for these characters tend to be rigid and inflexible, less easy to move around in and harder to transport. Although it is possible to make inanimate object mascots appealing, they should really be used as a last resort, and then only by clients who don’t require a lot of activity from their performer. 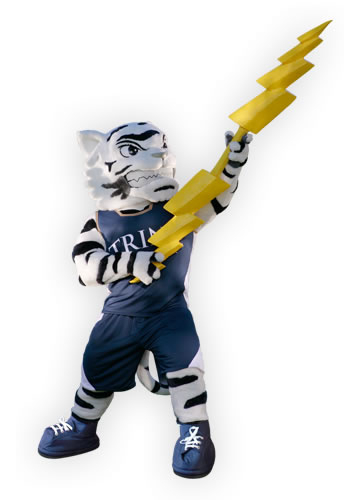 Q1 : How active is your mascot going to be? Different organizations expect different levels of activity from their mascots. For instance, a professional or college sports mascot will likely be very energetic, running up and down the sidelines and bleachers, acting up in front of large crowds and being the main cheerleader. On the other hand, a mascot for a small business or a charitable organization may be expected to be more low-key, limiting his activities to walking around, shaking hands and hugging kids. Different activity levels will determine how your costume should be made. The higher the activity level, the more durable, flexible, breathable and lightweight your costume should be. Q2 : Do you plan to use your mascot and his image for marketing and merchandising? If you want to sell stuffed toys that look like your mascot or give away coloring books with his image, design your mascot to be unique. This way, your mascot will have greater appeal and your marketing efforts will be more successful because your character will be one of a kind. Also, there will be no mistaking it for another organization’s mascot. That will protect you from legal issues and copyright infringement. Q3 : How many performers will play your mascot? If you plan on having one person perform as your mascot all of the time, you may want to have the costume custom fitted to that person. If you plan on having several operators for the character, your costume will have to have some size flexibility. For example, your costume could be made for performers within the range of 5’4” to 5’10” tall. Q4 : What is your budget? A mascot is an investment. That means that you should be able to realize a return on your investment over time. But, it also means that you should be wise about how much you spend on a costume. Spending too little will likely get you a costume that will not be able to perform properly, will not be durable enough to last very long, or will not look good enough to promote. Spending too much means that you will never realize a decent return on your investment. For a functional, marketable mascot that will stand up to very active use for at least 4-5 years, anticipate spending minimum within the range of $7,000 to $15,000. Once you have done your homework, you will be armed with all of the information you will need to get the best mascot to suit your purposes. 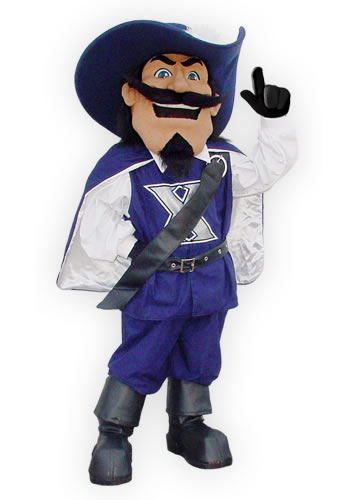 For more details on mascot costumes, please check out the gallery. Your mascot’s personality should reflect your organization’s public image. Because a mascot never speaks, his personality will need to shine through in his gestures and his performance skits. Therefore, if your organization has positioned itself as a bold industry leader, you will want your mascot’s actions to suggest he is confident and daring. If your organization has positioned itself as innovative, your mascot’s actions should appear to be both inquisitive and creative. Your mascot’s personality traits will also need to reflect the type of character he is. For example, if your mascot is a dog, he should act like a dog. He could lick people’s hands instead of shaking them, or if someone scratched him behind the ear, he could thump his leg. 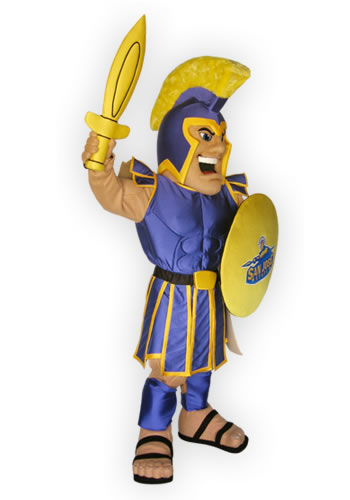 Your mascot’s personality will inevitably reflect the performer’s personality as well. For consistency’s sake, however, your organization’s corporate identity should be the dominant influence on the mascot’s personality. Your mascot should also be able to adapt his personality to suit the different settings he performs in. For instance, if he is working the crowds at a hockey or baseball game, he will need to display a zanier, more outgoing personality than if he was appearing at a sedate business function. Because of their high profile, mascots are often asked to do some incredible stunts. For example, some Street Characters™ have been scuba diving, sky diving, downhill skiing, skating and rollerblading. One of our Characters even went the distance in a 24 hour dance marathon. Because of assignments like these, a mascot costume must be able to weather any kind of environment while remaining user friendly for the performer inside. 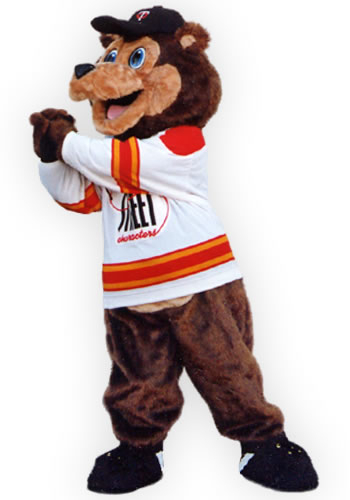 For a mascot costume to be user friendly, it must be flexible to move in and be very comfortable to wear. To be flexible, the costume should be constructed with properly fitted, pliable materials that allow the performer to move around easily. This is particularly important for the head and feet. The performer should be able to move the head easily in order to appear more animated, as well as to see better. To allow easy head movement, quality mascot heads are built around a sports helmet that straps to the performer’s own head. Street Characters’ heads, for example, are fitted onto hockey helmets. A similar thing is done to ensure easy foot movement. With a Street Character™ and other quality mascot costumes, the feet are built over shoes so that the mascot’s foot moves exactly like the performer’s, albeit in a LARGER THAN LIFE manner. To ensure comfort, the costume must be as lightweight and as well-ventilated as possible. This is needed to offset the heat generated inside the costume in a highly active environment. That heat can be quite significant. In fact, some sports’ mascots find it gets hot enough for them to sweat off 8-10 pounds a game. To minimize the chances of overheating, all Street Character™ costumes are made with lightweight, breathable and non-absorbing foams and fabrics. Ventilation openings are added as well to provide good air circulation. Metal – It is heavy, it can bend and it can rust. And if it sheers inside the costume it could injure the performer. Fiberglass – While lighter than metal, it is still heavy, especially if used in large quantities. It also brittle and could shatter under heavy impact. It is also not soft to the touch. Plastic – It is usually not flexible enough. It also can crack in cold weather or lose its shape in hot weather. It, too, is not soft to the touch. Paper Mache – Prone to chip or crack if it suffers an impact. It can also turn to mush and get moldy if it gets wet. Upholstery Foam – It absorbs moisture but cannot be washed or sanitized. It also tends to break down (rots) quickly when it rubs against other materials in the costume. You can get a high quality mascot costume without any of these materials in it, or with the amount kept to a minimum. Street Characters’ costumes are a case in point. All of our costumes are made with state-of-the-art materials that are durable, flexible, lightweight and comfortable for the performer. They also carry a lifetime warranty against defects in workmanship and are surprisingly easy to clean. The safety of your performer should be paramount when selecting a mascot costume. In addition to selecting a costume that is well ventilated (to prevent heat exhaustion) and lightweight and flexible (to prevent undue body strain), you will also want a costume that allows the performer maximum use of his senses. For example, a performer’s vision will always be restricted inside a mascot costume, especially his peripheral vision. However, there are design methods that can minimize these restrictions. Even the most durable mascot costume can suffer damage during regular use. And all mascot costumes get dirty, both inside and out. Because of this, you will want a costume that is easy to maintain. Street Characters costumes are designed for quick and easy maintenance. All our costumes are made with machine washable fur bodies and hand washable body liners. Our costumes also come with a complete set of cleaning and repair instructions.